The article below is related to my post dated March 26, 2019, on ‘Liberia: ‘Serial Ritualistic’ Killings Spark Mob Justice in Nimba County’ (webmaster FVDK). In the recent mob violence in Ganta, Nimba County that resulted into the gruesome killing of two suspected “heartmen,” (ritual killers), the Liberia National Police (LNP) has charged 16 persons with multiple charges, and sent them to the Eighth Judicial Circuit Court in Sanniquellie for prosecution. According to the LNP Nimba County Crime Services Department (CSD), the 16 people were charged with murder, criminal conspiracy, and criminal mischief due to their connection with the recent mob violence in the county. A police source informed the Daily Observer that there were several persons arrested, but after thorough investigation and screening, 16 were held liable for being at the center of the violence saga, while some were placed on parole to report regularly to the police. On March 20, 2019, a large group of residents, among them some women, reportedly intercepted and ransacked a taxi cab that was transporting seven suspected murderers in Ganta, pulled the suspects and mobbed two of them to death. According to information, the seven men were arrested in Bleevalay, Sea Gbeyi Administrative District for being allegedly connected to a skeleton that was discovered in a creek near the town. No one has yet identified the person whose skeleton was discovered, but the entire issue flared up during confusion between two groups of people that resulted to a fistfight. In the quarrel, one of the men accused his friend of being a witchcraft, while the other one too accused his friend of being involved with the killing of an unknown man that was later buried in a nearby creek. Following a tipoff to police assigned in Saclepea, central Nimba County, concerning the startling revelation, the officers dropped the fighting case and mounted investigation into the alleged killing, thereby arresting all those linked to the act. Several persons were detained for interrogation and, because of the nature of the case, the Saclepea Police Detail decided to send the suspects to Sanniquellie for further investigation. Based on that, the police hired a commercial cab to transport the suspects. However, while en route to Sanniquellie, the taxi reportedly developed mechanical fault, thus making an abrupt stop before entering Ganta. At that point, some residents, among them commercial motorcyclists, who heard of the story, reportedly mobbed two of the suspects to death, while another one that was badly wounded in the attack, was transferred to a nearby health facility for treatment. Since the mob incident, police effected several arrests and later released those who they discovered were not involved, while those they investigated and established were directly connected to the mob violence sent to court for prosecution. The first reproduced article below is not meant to express my belief in the involvement or guilt of any of the persons linked to the alleged ritual killing referred to in the article. With this article I want to focus both on the ‘never ending’ practice of ritual murders in Liberia and on the mob justice that took place in Ganta, Liberia, on September 30, 2015. The riots following another ritual murder in the area illustrate one of the main messages of the present site: the need for more respect for the laws of the country – by its citizens – and the strengthening of the rule of law – by the national authorities. 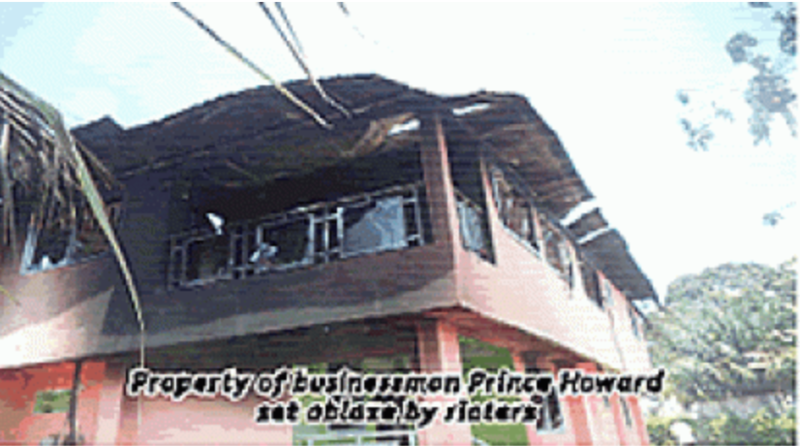 On September 30, 2015 a mob ransacked the Alvino Hotel in Ganta, owned by Prince Howard, burnt down his private residence and even destroyed the three-storey minimart, speculating that he was behind a ritual murder that allegedly had been committed in the city. The suspected ritualistic killing was the third murder in Nimba County within a relatively short period of time. As repeatedly said, the phenomenon of ritual killings has never completely disappeared in Liberia. The death of a motorcyclist by the hands of a ritual killer was followed by widespread riots. At one point, the government even decided to impose a curfew. For more information on the incident mentioned, the riots, as well as the three ritual murders, please read the following reproduced articles. Warning: some photos and articles contain graphic details. After years of devastation, the Alvino Hotel in Ganta has now reopened to the public, with new design and with modern facilities. Opening ceremony, which was held on Saturday, September 22, 2018, brought together some high profile bankers and business executives of Liberia, including president of the Liberian Bank for Development and Investment (LBDI), John B. S. Davies and his predecessor, Mr. Francis A. Dennis; as well as the President of Liberia Business Association, among others. In his opening remark, the proprietor of the Alvino Hotel, Prince Howard, explained his ordeal about how his hotel was destroyed and the resilience it took to have the hotel restored. He praised LBDI for assisting him the process of reconstructing the building. The Alvino Hotel suffered an arson attack by an angry mob on September 30, 2015, when they linked Howard to the death of a motorcyclist who was found brutally murdered in Ganta. 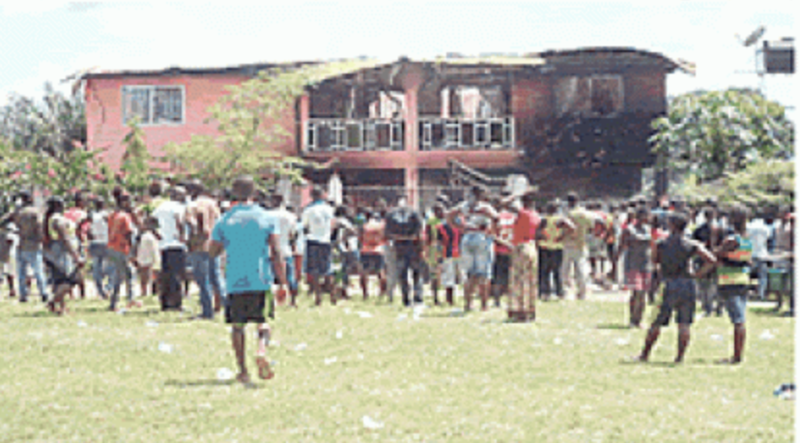 The mob ransacked the hotel, burnt down his private residence and even destroyed the three-storey minimart, speculating that he was behind the killing for ritual purposes. “Liberians, let us invest in ourselves and the LBDI, our Liberian bank, because it through the LBDI that I was able to build the first Alvino and now this new one,” he said. 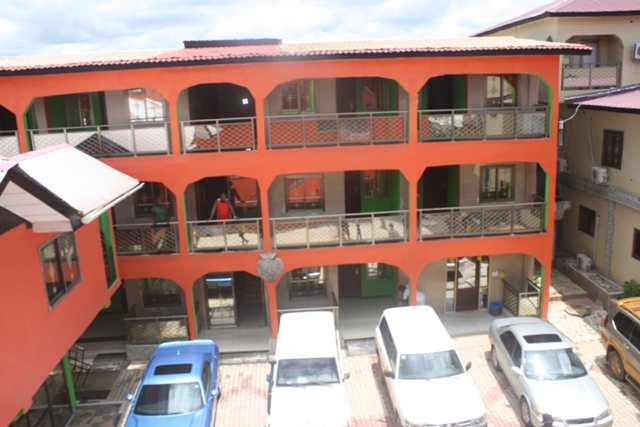 LBDI president Davies said he was disappointed and frustrated when heard people say that Alvino was built with blood money, in spite of the fact that LBDI had loaned Mr. Howard US$100,000 for the first construction. He said all of this happened because the state failed to protect taxpayers against violence. Mr. Davies explained that following the attack, they tried by all means to get the state to pay for the damaged properties, but their efforts failed. He said the LBDI will not allow the investment of its entrepreneurs go into ashes. Therefore, after their efforts to get the government for the damage failed, the LBDI decided to loan Howard another US$300,000 to rebuild the hotel. He said that LBDI will continue to support the hotel until every aspect or condition is improved. Senator Oscar Cooper thanked the LBDI for the support given Prince Howard for the second time. “It is the private sector that will support this country,” he said, calling on the government to do more to help businesses. He urged the management of new Alvino to insure the property and encouraged Liberians to be strong in business and stop relying on government. The new Alvino Hotel is one of the leading hotels in Ganta, with electronic doors, a modern conference room with wireless projector, modern bar and restaurant and two presidential suites. Meanwhile, Howard has named the night club “9/30”, in memory of the event that devastated his properties. The Liberia National Police (LNP) has charged 45 suspects in the Ganta violence in Nimba County with murder, property theft, riot and arson. Police deputy spokesman, Lewis Norman told the New Democrat Wednesday, the LNP has concluded its investigation of perpetrators of the Ganta violence and 45 people were charged accordingly and are awaiting trial. He disclosed that three persons, Bill Lawrence, Tony Sekie and Fanta Kamara were charged with murder in connection with the killing of the motorcyclist near the Methodist Compound in Ganta city. The killing sparked the violence. Other suspects were charged with theft of property, rioting and arson. 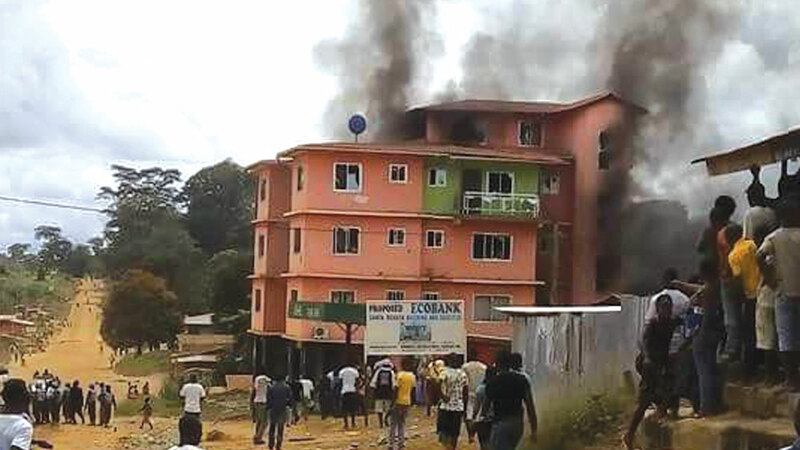 Angry residents of Ganta City, including motorcyclists on September 30 went on the rampage to protest the mysterious death of Milton Weatgbeh, believed to be a motorcyclist and set business houses and the residence of a local businessman Prince Howard ablaze. Mob justice in Ganta following a third ritual murder. An angry crowd suspected the owner of the vino Hotel, Prince Howard, being involved in the recent ritual killing. The protesters also set up roadblocks and looted other businesses in the city to avenge the death of the motorcyclist whose body was found near the Ganta United Methodist High School sports pitch. Prince Howard, owner of the Alvino Hotel in Ganta City was accused of masterminding the killing of motorcyclist Weatgbeh for ritualistic purposes, an allegation the businessman denied. Norman explained that Howard was also investigated but because nothing established his involvement with the death of the motorcyclist, he was set free. He noted the Police have nothing with Mr. Howard because the person who implicated him was killed in the Ganta turmoil, leaving the police with no evidence to hold Prince Howard culpable for murder. Information Minister Lewis G. Brown at the MICAT regular press briefing Tuesday noted there was a growing public concerns about mob violence as the UNMIL drawdown gains momentum. Mr. Brown said in 2015 alone, Montserrado, Sinoe, Grand Bassa, River Gee and Nimba counties have experienced mob violence. He said mob violence is mob injustice, which undermines the rule of law. “The rule of law may not always deliver what we may want, but it keeps the society safe and peaceful,” he emphasized. The Information Minister also disclosed that according to UNMIL reports, from January to September 2013 there were 46 mob related incidents and 32 in the same period in 2012. Nimba County Senator Thomas Grupee, has cautioned here that weak and delayed justice system promotes mob violence, something, he said should not be the case of Liberia. Sen. Grupee, who is the Senate Committee Chair on Internal Affairs,described as unfortunate, the recent bloody violence in Ganta, Nimba County, which led to loss of lives and properties. Speaking to members of the Legislative Press Pool Wednesday at the Capitol Building, he said gone are those days when people took the laws into their hands, while emphasizing the need for the justice system in Liberia to become pro­active to win public trust or else, people will always want pay back whenever they realized things are not handled speedily by the national government. Senator Grupee noted that in barely one month, the people of Nimba experienced three suspected ritualistic killings in the county, but the government has delayed in responding to those incidents. The Lawmaker however clarified that he does not support the action of his kinsmen in killing and burning down private and public properties in an apparent reprisal attack. According to him, the best option to maintaining peace and stability in Liberia is for government to serve victims of injustice by making the justice system speedily pro­active. Senator Grupee made these assertions after returning from a public account conference in Lome, Togo where he represented the country. Chaos erupted in Ganta,Nimba County last week Wednesday when angry mob attacked the Ganta Police Station, including an office of the Drugs Enforcement Agency following the reported discovery of the dead body of a motorcyclist near The Ganta Methodist compound. The deceased was discovered lying in a pool of blood around the 404 community in Ganta with deep cuts on his head. The angry mob, mostly youths, stormed the Ganta Police Station, damaged a Police vehicle, and looted the entire police station before breaking into a police withholding cell and releasing inmates there. The mob subsequently set ablaze a local business center, Avino Hotel and theprivate residence of a local businessman, Prince Howard. 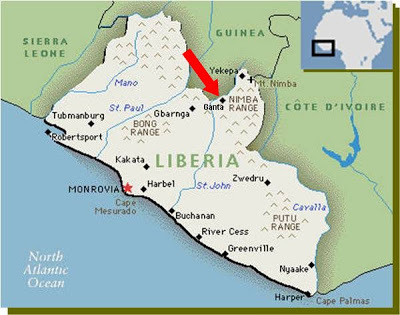 Meanwhile, the Government of Liberia thru the Ministry of Justice in Monrovia has launched an investigation into the Ganta violence following several arrests by the Liberia National Police. Private properties were set ablaze in addition to a police station, as angry residents, mostly youths went on the rampage demanding justice for a 14-year old motorcyclists whose body was discovered near the United Methodist Compound in Ganta, Nimba County. The victim, reportedly hailed from Gipo Town, electoral district# 8, but was a resident of Ganta up to his death. The angry youths including motorcyclists of Ganta and adjacent areas destroyed several private properties, particularly businesses owned by a prominent resident, Prince Howard, accused of involvement into the deceased’s death. The victim has been identified as Melton Wehgbay. His death followed the discovery of another dead motorcyclist few days ago in the same county. 15-year-old Josephus Yeawon, a resident of Peace Community in Ganta, was reportedly invited by his 17-year-old colleague, Josiah Balmo, to go for a palm wine ride along the Ganta-Saclepea highway when he was similarly found dead. Earlier, a seven-year-old girl, who had reportedly gone missing on August 7, 2015, was found dead with several body parts missing. 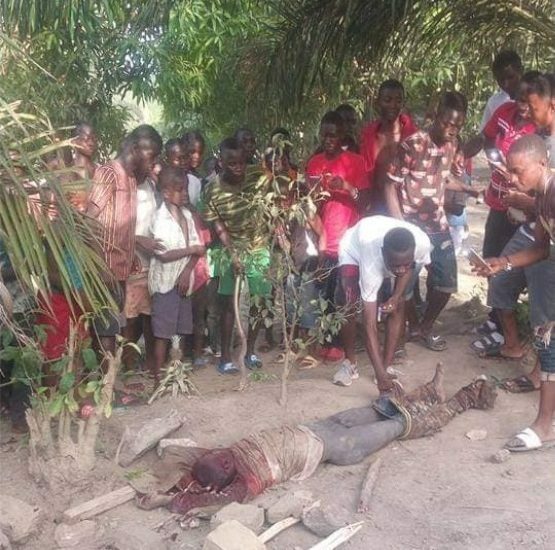 The angry residents also mobbed a resident of Congo community in Ganta to death. The deceased was identified as ‘Decent Boy’, 28. He was attacked after the angry crowd spotted bloodstain on his motorbike, thus, suspecting him of involvement into the death of Melton Wehgbay. The rioters ransacked and looted several public buildings, including the Drugs Enforcement Agency office, office of the Mayor of Ganta and the police station in Ganta before moving onto Mr. Prince Howard’s compound that contains a three storey building and setting it ablaze. The whereabouts of Mr. Howard and his entire family are said to be unknown. Normal activities in Ganta, including school and businesses were at a standstill on Wednesday due to the violence with the authorizes declaring a curfew. Meanwhile, riot police officers of the Emergency Response Unit (ERU) from Monrovia and the Police Support Unit (PSU) from the Gbarnga Regional Hub have been dispatched to Ganta in response to the chaos that led to the destruction of private and public properties. On Wednesday, 30 September the rioters in Ganta set free 22 detainees who were in police cell and then set the police station ablaze in Ganta, Deputy Police Spokesman Mr. Lewis Norman told reporters yesterday afternoon. The authorities here in Monrovia say they have arrested six persons in connection to the vandalism in Ganta, but they told reporters that the situation was under control and urged the public to remain calm. Mr. Norman listed those arrested in after the violent riot as Jackie Lannon, Armstrong Zayzay, Oswa Gbangbay, Ericson Samuel, Francis Togbah and Abraham Jalloh. The violence began when a dead body believed to be that of a motorcyclist was discovered around the Methodist Compound in Ganta; with rumor further being spread that another corpse believed to be a man identified as Milton Kpaklah had also been discovered in one Prince Howard’s house in Ganta. Prior to the alleged discoveries of a corpose in Mr. Howard’s house and the one near the Methodist Compound, suspects David Lawrence and Asha Fofana had been held in police custody for the alleged disappearance of two persons in the area. In the aftermath of claim by the rioters that a body was in Mr. Howard’s house, Police say rioters burnt both his car and house, and a local hotel called Alvion on Sanniquellie Road in Ganta. Investigators are yet to attach cost to the violence, but Mr. Norman says the situation has been brought under control. The remains of a 15-year-old motorcyclist, who reportedly went missing in Ganta, have been found with several body parts missing in electoral district #8, Nimba County. The late Josephus Yeawon, was allegedly invited last week Tuesday, 22 September by a 17-year-old friend, Jacob Blamo, to go for a ‘palm wine ride’ on the Ganta-Saclepea highway when he met his demise under circumstances suspected to be ritualistic killing. His body was found with several parts, including throat, eyes, tongue, ears and heart cut off. The NewDawn Nimba correspondent says the mysterious death of Josephus brings to two the number of motorcyclists discovered dead in the county in less than a year. The incident has created serious panic among residents of Ganta, including citizens of district #8. 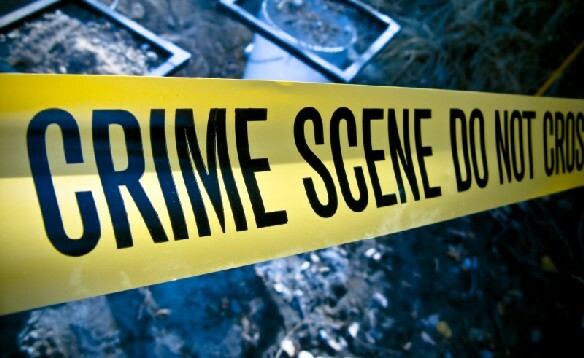 The deceased’s body was found between Blohn Town and Whyla Town in the district. A lady, who spoke to this paper following news of Josephus’ death, expressed fear for her own life. Kou Paye, a marketer in Ganta, lamented that when suspected murderers are arrested in Nimba, the county’s lawmakers allegedly intervene to have them released, wondering how could such behavior stop. She specifically pointed accusing fingers at Nimba County electoral district #5 Representative, Samuel Kogar, who allegedly wrote a letter recently to the Eighth Judicial Circuit Court in Sanniquellie, demanding the release of a murder suspect charged by the court. The suspect, Stephen Monwon, is now a free man, going about his normal business in Bleeplay, Nimba County. Meanwhile, no arrest has been made in connection with the mysterious death of motorcyclist Josephus Yeawon. His friend, Jacob Blamo, who allegedly invited him for a ‘palm wine ride’ has not been called in for questioning. Following the brutal murder of a motorcyclist during the week in Ganta City, Nimba County by unknown persons, dozens of motorcyclists, and women groups have reportedly taken the entire City hostage in retaliation to the death of a motorcyclist. According to our Nimba County Correspondent, during the clashes which are ongoing, additional two persons have been pronounced dead as angrily roiters stormed the entire city, making commercial activities to come to complete halt. Some of those arrested in connection to the death of the motorcyclist, according to our Correspondent have linked the owner of the most famous Alvino Hotel, Prince Howard of been behind the death of the motorcyclist. The detained suspects during police investigation said they were instructed by Mr. Howard to brutally kill their victims early Tuesday morning, September 29, 2015 in Ganta. According to our Correspondent in Ganta, the Police detachment in the County has been arrested and detained Mr. Howard for his alleged linked to the murder of the motorcycle. Our Correspondent further said angry motorcyclists have looted and burnt to down the residence of Mr. Howard, while police have barricaded the Alvino Hotel owned by the accused. Some of the angry motorcyclists who spoke to our Correspondent alleged that the accused is always noted of performing ritual through the making of human sacrifices for wealth. Youthful Prince Howard owned the most beautiful hotels in the County. MONROVIA (Reuters) – Authorities imposed a curfew in a town in northern Liberia after violent protests following a wave of suspected ritual killings, authorities said on Wednesday. Residents of Ganta on the border with Guinea said protests began after the killing of a motorcyclist on Wednesday. That came just a day after the discovery of the body of a 13-year-old girl who had disappeared weeks earlier. A local police commander said one person was killed and several were wounded in the protests, in which several properties were destroyed. Government officials in Monrovia did not confirm the death. “We will not hesitate to bring to book anyone in connection with this violence,” Justice Minister Benedict Sannoh said in a national address. He said six people had been arrested for their part in the protests. The girl’s death was the most recent in what is believed to be a years-long string of ritualistic killings in the area that have been blamed by local residents on politicians and businessmen seeking political power. Though relatively rare, cases of ritual murders have been recorded in several African countries, with body parts sometimes used in ceremonies believed to confer supernatural powers. Children are particularly sought out as targets. Residents said violence erupted after two people who were arrested for the girl’s murder said a local businessman had hired them to perform it. A police spokesman said that rioters also broke into Ganta’s police station and released 22 prisoners. He said the businessman has been arrested in Banga in the centre of Liberia. Allegations of ritual abuse are universal and mental health professionals, theologians, law enforcers, scholars, victim advocates, and others struggle to comprehend the enormity of the devastation left in the wake of these heinous acts. Ritual Abuse in the Twenty-first Century addresses the concerns that naturally evolve from any discussion of this phenomenon from the perspectives of professionals, advocates, and survivors from around the world. How valid are the survivors’ stories? Is there evidence? What are the consequences of these acts to the individual and society? Why have these allegations been ignored or discredited whenever they have surfaced? The authors of these chapters respond to these and other questions in an effort to illustrate the constellation of psychological, health, legal, criminal, societal, and spiritual ramifications of ritual abuse. Allegations of ritual abuse are universal and mental health professionals, theologians, law enforcers, scholars, victim advocates, and others struggle to comprehend the enormity of the devastation left in the wake of these heinous acts. Ritual Abuse in the Twenty-first Century addresses the concerns that naturally evolve from any discussion of this phenomenon from the perspectives of professionals, advocates, and survivors from around the world…. The authors of these chapters respond to these and other questions in an effort to illustrate the constellation of psychological, health, legal, criminal, societal, and spiritual ramifications of ritual abuse. Chapters address current issues including ritually based crime, civil suits involving allegations of ritual abuse, that are universal. The value of understanding ritual trauma for diagnostic and treatment applications is discussed. 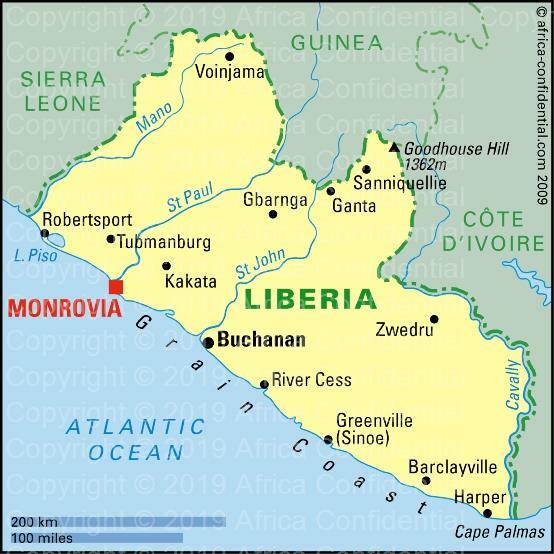 MONROVIA, Sept 30 (Reuters) – Authorities imposed a curfew in a town in northern Liberia after violent protests following a wave of suspected ritual killings, authorities said on Wednesday. Residents of Ganta on the border with Guinea said protests began after the killing of a motorcyclist on Wednesday. That came just a day after the discovery of the body of a 13-year-old girl who had disappeared weeks earlier…. Residents said violence erupted after two people who were arrested for the girl’s murder said a local businessman had hired them to perform it…. The Eight Judicial Circuit Court in Sanniquellie, Nimba County has sentenced a 17-year-old boy to life imprisonment for killing his 16-year-old friend, Cephus Yeanwon. Convict Jacob Vanboe, a resident of Ganta City, in Nimba was sentenced after he cajoled his 16-year-old friend Cephus Yeanwon, a motorcyclist, to go for a ride with him along the Ganta-Saclepea Highway in Nimba County in order to get some palm wine, a locally produced beverage to drink when he murdered the victim and extracted parts from his body. The convict on September 22, 2015, conspired and murdered Cephus Yeanwon. Both Jacob Vanboe and the late Cephus Yeanwon were resident of the Royal Community in Ganta prior to his murder. The deceased corpse was discovered four days later between Blohn and Wallah towns along the Ganta-Saclepea Highway. Reading the final verdict at the Eight Judicial Circuit Court, Resident Judge Emery Paye said, the decision was in keeping with an unanimous guilty verdict brought down by the grand jury besides evidence adduced by prosecutors during the trial. However, the life sentence for a 17-year-old boy has sparked debate in Ganta with some residents arguing that Jacob Vanboe could not had been braved enough to act alone, and that there may be some conspirators hiding somewhere, who should equally be brought to justice. Residents are calling on the Liberia National Police and other state security to investigate further and bring all those connected with the crime to book. Following the verdict, the 17-year-old convict wept and pleaded for mercy as he was being taken to prison.